A hand-painted, highly detailed scale model of the huge Paraceratherium, the largest land mammal of all time. A super addition to young dinosaur fan’s collections. A highly detailed model of the enormous prehistoric mammal Paraceratherium, otherwise known as Indricotherium and Baluchitherium. An ancient relative of rhinoceros that was taller than a house. A prehistoric mammal that was bigger than most dinosaurs. A CollectA Deluxe 1:20 scale Paraceratherium model. 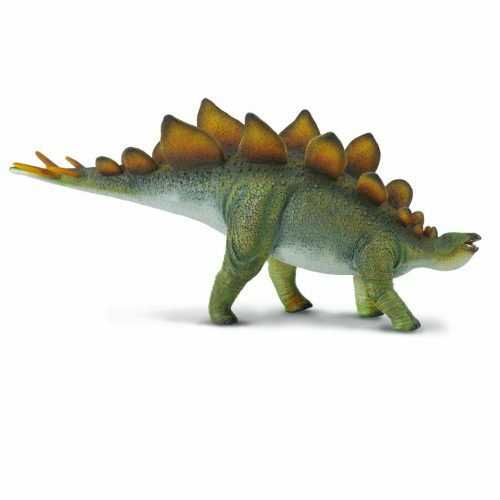 My son loves prehistoric mammals just as much as dinosaurs but it was hard to find a nice selection of realistic figures, until I found this site. The paraceratherium is absolutely beautiful and looks just like the picture, plus the shipping was speedy (arrived within a week and we live in the United States). We just placed our second order and will definitely order more in the future. Thank you! amazing model of paraceratherium, the largest land mammal of all time. it has a few names.this animal was bigger then some dinosaurs. Great range of models, some which are hard to find elsewhere. Information sheet supplied is superb and a good addition. Website is easy to navigate and has a good selection to choose from. Easy to recommend because it is such a friendly site. Goods always arrive promptly and well packaged.